To keep my sequins from moving up my earrings, I use a chasing hammer or ball end of a ball peen hammer to flatten part of the wire. I'm still working on refining my technique, but it definitely helps! What brilliant vintage sequin earrings! I love the look of sequins stacked this way in jewelry -- it looks awesome! You are such an artist, Lori. Rich, cool, pretty earrings. I completely love both pairs. "Wonkify" ... That'll have me break into random bursts of giggles for the rest of the day. Yes cats, they really like to get into my beady business! I love your earrings, Lori. The first pair is great with the twist at the top! Another way to keep the sequins in place is to wrap a small length of wire above them. You could even use colored wire to match or contrast with the sequins. I love the pattern in the second pair of earrings. They are really joyful and lovely! 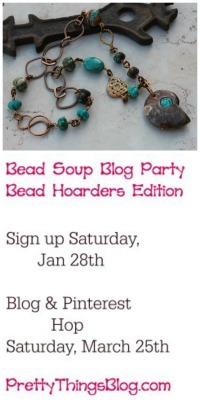 I cannot wait to see how you will use sequins in bracelets. I totally love the first pair of earrings the color and the style awesome! The second pair are just as awesome as the first. I love how they look when the sequin is stacked! Ha! U got a great visual of your sequinned up cat! Anyway, your earrings are so fresh, and absolutely sublime. I love them. Super cute earrings Lori. Love them both but especially the second pair. LOVE the stacked sequin look! 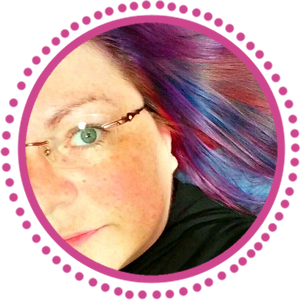 I was just over at CraftyHope's blog and she did a wrap bracelet with stacked sequins ... your earrings and her bracelet were made for each other! I love both pairs, especially the first! WOW! Forget about the cats - I found myself wearing sequins! I'd managed to spill a number of them onto my lap. I'd thought I'd picked them all up, but my husband found a few more when he got home - stuck to my jeans on my caboose! Very cute earrings! Round sequins look very neat stacked. 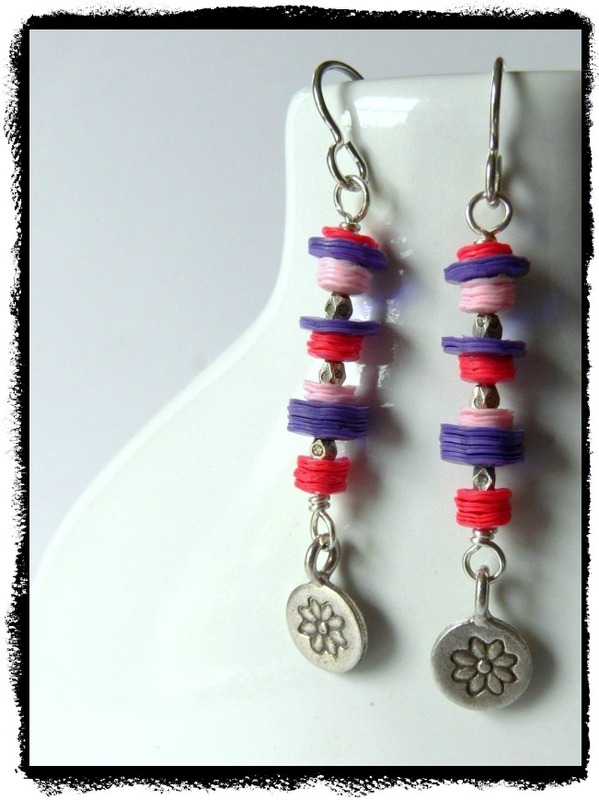 I especially like the variegated colour of the blue earrings. Oh my goodness these are just great, especially the greeny blue ones I love them! Never tried making jewellery with sequins. You know you just make the coolest jewelry, right? I so wish I had thought of that! But I'm not really a wireworker, so probably wouldn't have worked for me. :) I really love the ones with the curly wire. Lori these are fabulous!!! Great job. I love me some sequins! Have several matte (mint green, baby blue, wedding beige). And fuchsia shiny ones, too. Love these earrings! Very pretty! As always, you've made some awesome pieces. Thanks for the tip about the glue. I had no idea! I love the way you stacked yours by color. I did some stacking too but went all willy-nilly with mine. You've definitely got me thinking about future designs. I can't wait to see what yours are! The earrings are precious, and I'm giggling at the mental image of the cats bedazzled with sequins! Love the earrings!! Never would have thought of sequins as a jewelry element. Oh the possibilities! I really love the turquoise earrings.. very beautiful. I've never worked with sequins before so I don't think I'd know what to do with them myself. I think you did a beautiful job with both earrings! 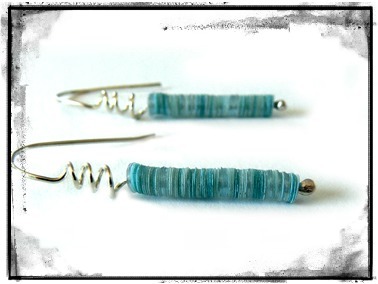 I love the subtle colour changes in the first pair and the wire spiral makes a nice contrast. I don't have a kitty but my sequins managed to find their way all over my house anyway...they're even in the kitchen! I think the factory packages a little gremlin in each bag. 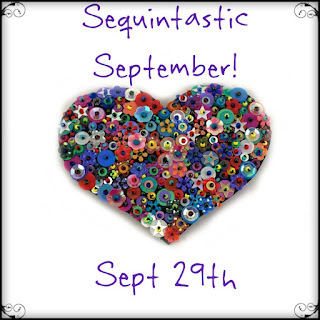 I never thought about stacking sequins like you and some other folks have done! So creative!! Great earrings. The second pair has great texture with the different sizes & the silver for contrast. Stacked.... Lori I never would have thought of that. Isn't that funny how creative brains have so many unique options? That's why I love this sort of a hop. 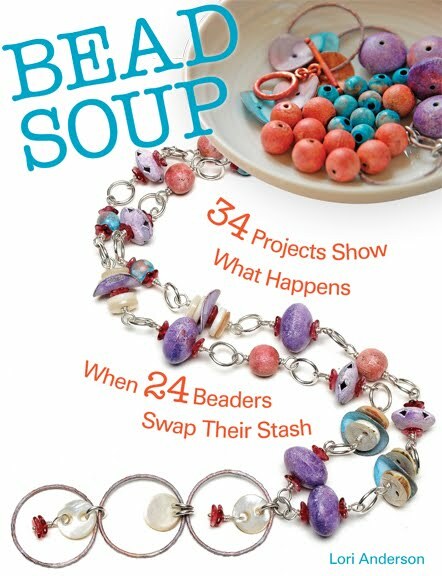 Similar to your Bead Soup, there's infinite possibilities! OOOh! I realy like the way you used those sequins!! nice! I LOVE your sequin earrings! So pretty! 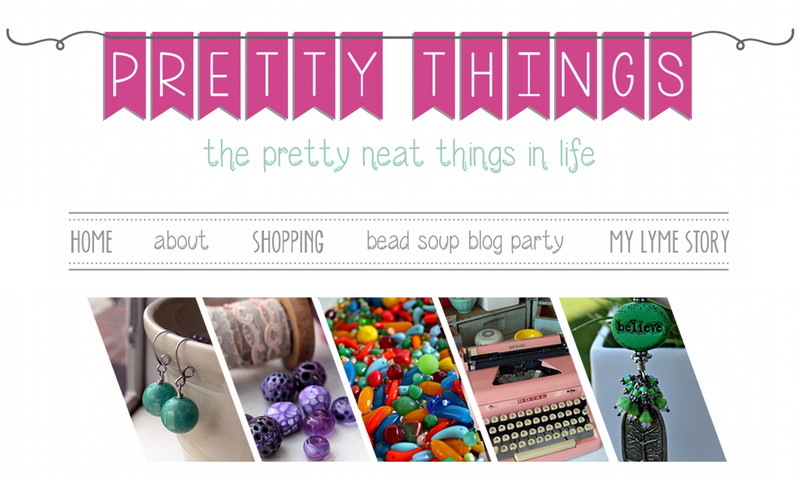 Im in love with your blog really impressive.Choice of colors are simply cool.